That those words were the first uttered by the defeated challenger at the closing press conference says a lot about this match. I cannot recall a more sporting loser. The players managed to treat each other with the utmost respect throughout, and appeared to end as they began, friends and rivals. 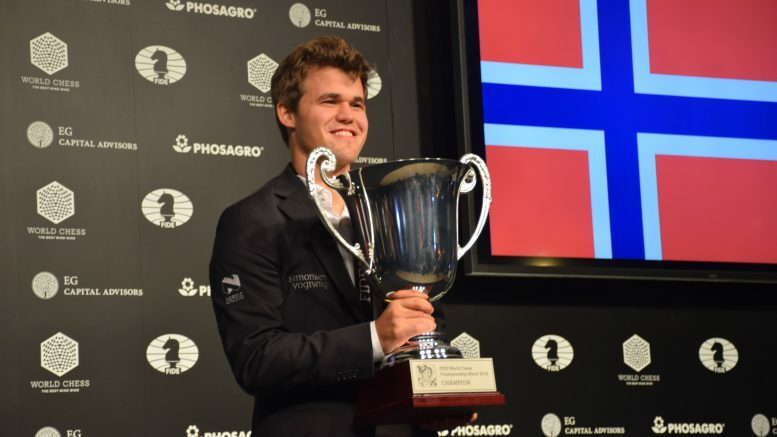 My guess is that Magnus Carlsen also left with higher regard for his opponent’s abilities. 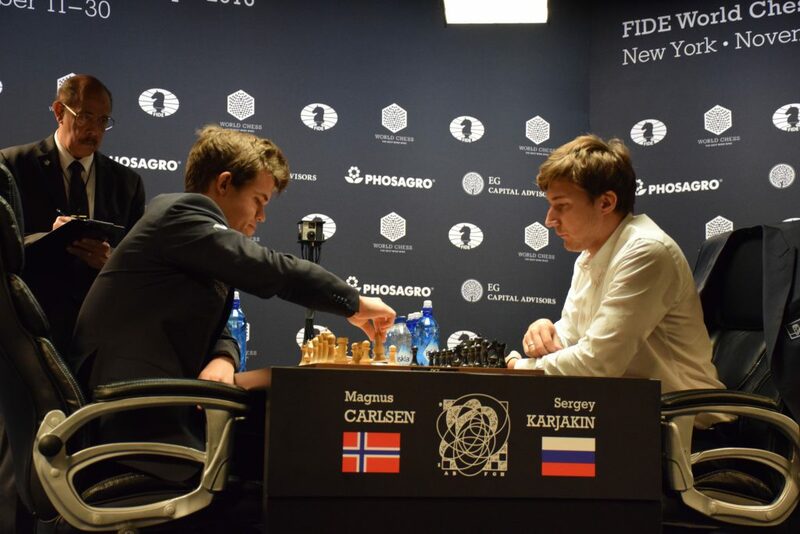 Sergey Karjakin finally buckled under after another prolonged session of defensive tasks, losing the rapid play-off 1-3, thereby granting Magnus his best birthday ever. The Norwegian turned 26 and took his third ultimate title, but only after an unexpectedly harrowing ordeal that will undoubtedly make him rethink how to handle future matches. 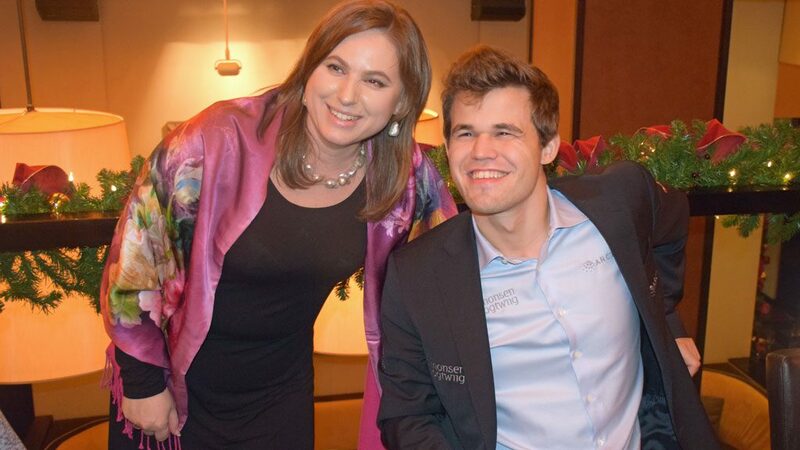 The day’s drama long appeared to be a fast-action, nerve-jangling replay of the event’s running themes; Karjakin choosing to tackle trouble by volunteering to do some slow suffering, Carlsen battering him thoroughly, and the challenger somehow shambling to safety. The first game was not a heart-stopper, just a sensible tussle where Karjakin handled the position better than his clock. But things would heat up when Magnus got white. For my part, this continuation of Karjakin’s near-indestructibility set off a series of internal Q&As. What exactly has been going on in this match? To my mind, it hadn’t made any sense. People kept talking about this defensive performance of Karjakin’s being part of a brilliant plan; but surely this makes no sense whatsoever if you look at it closely – it only looks like a plan when it happens to be working. No one goes in to a contest of this type thinking – with their team of assistants – I’m going to play to his strengths, let him batter me repeatedly and endlessly, keep drawing lost positions, then hit him when he’s gone crazy with frustration. Because let’s remember, Karjakin was only a hair from being down one or two points after only four games, the closest of those calls coming with the white pieces. You don’t plan that. You can’t plan on surviving that. Yes, he may well have planned a course of provocation, and envisioned a clear policy of total risk avoidance to increase his chances or Magnus’ frustration. But you cannot have absorbing punishment as a policy and goal. It is something you do when you must. Karjakin came to fight, not lead with his face. What made it look like this was a good plan? Something that most commentators have been too polite to dwell on at length. It was working because the best technician in the world, maybe the best ever, was not winning won positions. There is a point where defensive genius becomes more the shocking bungling of winning chances. Where has Magnus’ technique been during this match? He’d done some magicking of somethings from nothings, he’d even started with a lot more than nothing. He’d nurtured these to the very brink of victory. But only scored the full point once. Another thing that was making the punishment absorption route look like a plan was another total mystery. 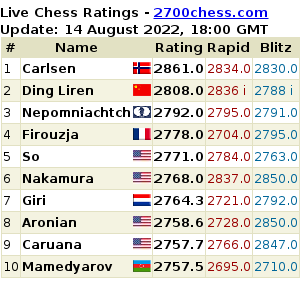 Carlsen was winning every opening battle. Maybe not in the way we used to think of winning the opening, by unveiling some novel path to advantage. But he was never surprised and was generally the one posing questions. The only opening that arguably went wrong was the fateful game 9, but even there Team C steered the opening course, it was just a very poor choice, especially for the match situation. With Team K unable to dictate the battlefields, the path to eventual gradual punishment was short. Where the million dollar preparation from Team K went remains an enigma. Maybe a whole series of unlucky candidates are going to find this out in March 2018. 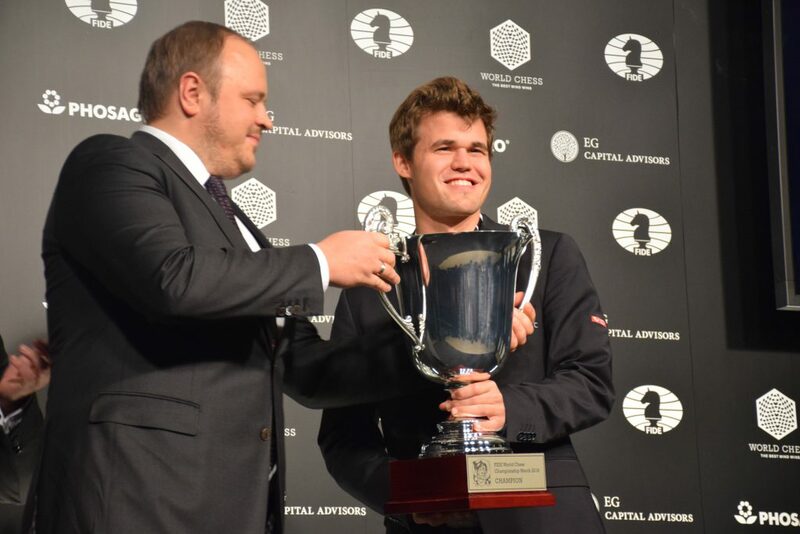 But Carlsen appeared the better prepared. One other question occurred to me during all this musing – what will the effect of this match be on future Carlsen challengers? Will they feel encouraged by the apparent tarnishing of the champion’s greatest weapon, or is he just evolving as a player? Magnus often appeared to be playing – differently. 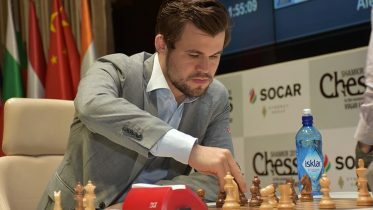 He clearly had a policy of aiming for positions of greater complexity often, choosing sharper play – not just when growing frustrated during the match proper, but also at a critical juncture in the second rapid game, when he could have settled for a very comfy and ‘typically Carlsen’ grind. It often appeared that he preferred his chances vs Sergey in messy rather than technical play. But more on this later, especially since this question of style very much characterized the third tiebreak game. This game showed why Magnus is the stronger player. Well, I have had a pet theory. It doesn’t explain the mystery of the missing winning technique, but it might provide some indirect reasons. 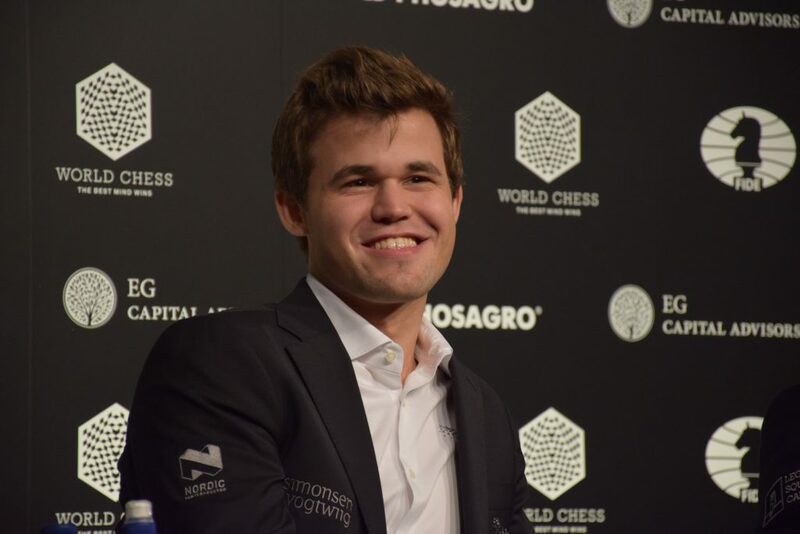 To my mind, Magnus has been very methodically expanding his playing style over the past few years, more and more ready to play theoretical variations, and happier to play sharper and sharper positions. This year, especially in some rapid events, and even more so when angry, he has produced games and performances that remind me of the kind of extra level Fischer achieved over his near peers at the height of his powers, and which I thought signaled a looming quantum leap in strength. But this year has also been characterized by recurring bouts of sloppiness. I think this has muddled the perception of how he has been developing as a player, and that this weird blend of greater ambition and versatility – and inattention – continued in pressure-cooker format in New York. If I had to place a bet, it would be on an even more rounded champion that starts to rebuild a record rating gap in 2017 as all the bits fall into place. All the more so since I think this near-brush with disaster that this match contained will provide many lessons. Anyway, it took 15 games for Carlsen to take the lead in this match. Could Karjakin produce his patented playoff comeback miracles with black against Magnus? 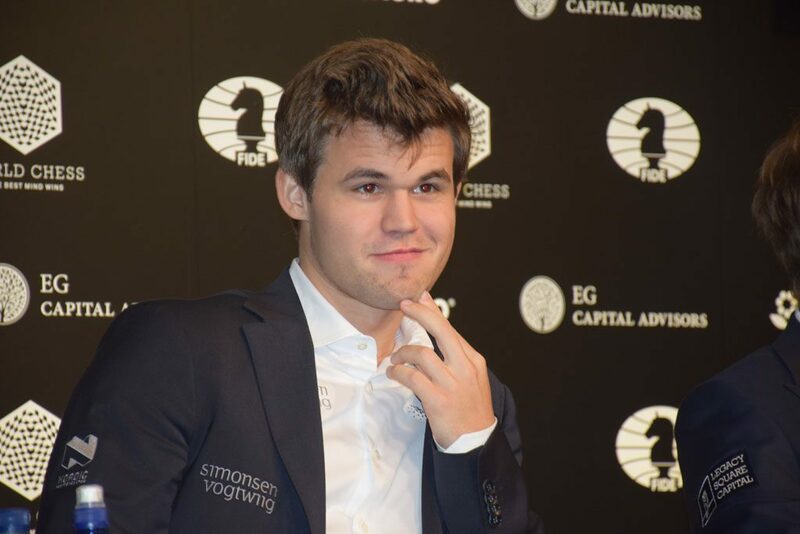 Early during the fourth tiebreak game, I saw a visibly relaxed Carlsen even smiling a bit. I always knew that his mental constitution was immense, but this was simply incredible. His batteries are charged by confidence, and there were now no negative thoughts left. Magnus knows how to leave an audience. If the short memory of disappointed chess fans is anything to go by, I imagine the swing back of delighted fans will be just as strong. With the prettiest ever finish to a title match, people should stop shouting about boredom and cowardice and rule changes for a while. This was, and now certainly will be, a match to remember. The final press conference began with the gathered crowd singing ‘Happy Birthday’ to Magnus. The atmosphere was finally relaxed, which produced some interesting benefits; Magnus revealed all behind the dud 12th game, and Sergey spoke without a trace of a stammer – the tension had lifted. «I would like to thank my opponent Sergey Karjakin for a great match,» Magnus began, and then paused as this was met with loud, prolonged applause. He then thanked the fans, sponsors and organizers, and noted that he knew this playoff would happen after the 11th game. It was now clear that Magnus had gained a significant edge by deciding to focus on the rapids right after Game 11. While Karjakin had to prepare, Magnus could rest, burn game 12, and rest some more. Despite the incredible drama, and how close it all was, there was still very arguably a clear gap between the players. Magnus’ loss came in the throes of blood-lust. To mount a new challenge Sergey will have to master the art of pressuring Carlsen consistently – game 9 was the closest this came to happening in the 16. I have no doubts that Sergey Karjakin has won hordes of new supporters, not just for his gritty determination, but at least as much for his warmth and charm under stress that few of us can imagine. If there is another title chance, I’m sure we’ll be here to watch it. Meet up here again in two years time?